Before I describe these forms I want to restate that classroom management is driven mainly by content (engaging lesson plans), and secondly by making students feel welcomed and appreciated, and keeping ourselves positive and energized. For me personally, if classroom management ever became a process of making a bunch of rules, and figuring out how to enforce them, then I would probably quit teaching because my heart is not into it. But that being said, a discipline structure is needed, this post is the beginnings of a description of mine. 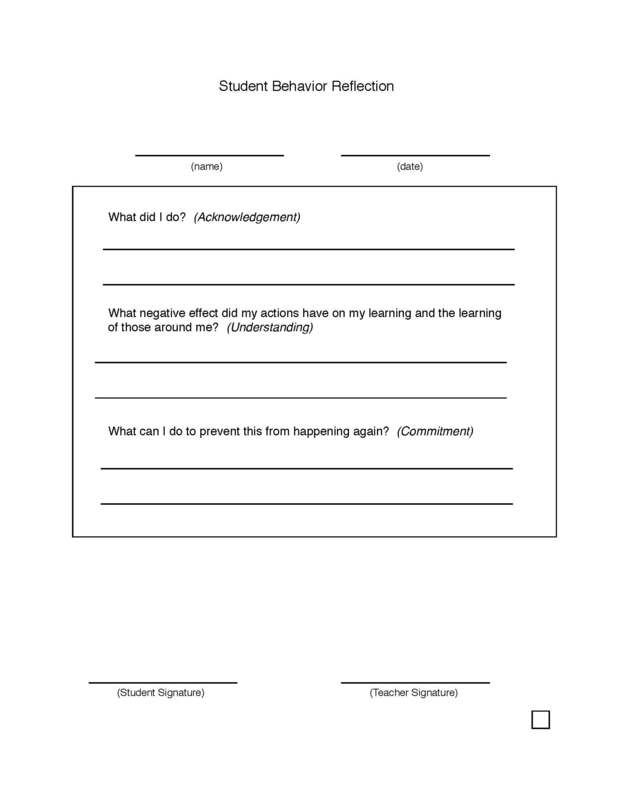 This entry was posted in classroom management and tagged classroom management, discipline, long form, referrals, short form. Bookmark the permalink.